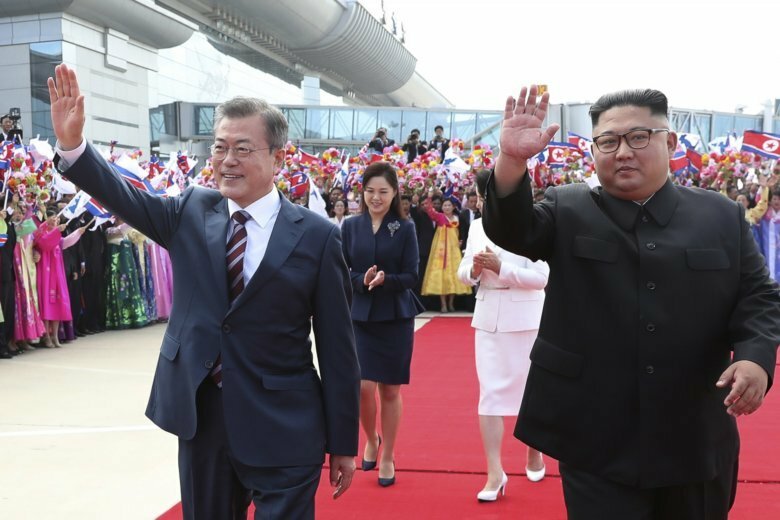 Other agreements aimed at removing some longstanding irritants from their relations — such as allowing more contact between families divided by the Korean War. Moon also appeared to be making good on his proposals to help build up the North’s infrastructure and open cross-border rail links. Unlike Trump’s initial tweets praising the summit, the news brought a quick and negative response from Republican Sen. Lindsey Graham, who tweeted he was concerned the visit would undermine efforts by Secretary of State Mike Pompeo and U.N. Ambassador Nikki Haley to impose “maximum pressure” on Pyongyang.